Bob Fraser has been associated with the agriculture industry all his life, being born and raised on a multi-generation family farm in Clarksburg, a small community in the Sacramento Delta. Bob received his BS and MS in Agriculture Business Management at Cal Poly, San Luis Obispo and started a career in agriculture education with stints at King City High School and Kelseyville High School. In 1974, Bob was recognized for his outstanding knowledge and influence on students and awarded the Teacher of Excellence Award from the California Agricultural Teachers Association.After teaching in high school, he accepted a position in the early 1980’s in national produce sales for Bengard Marketing. Bob always felt his calling was rooted in education and accepted the coordination teaching position of the Agriculture Business Management program at Santa Rosa Junior College. As Sonoma County’s vineyard and winery industry grew in the late 1980’s, Bob decided to form a new program at Santa Rosa Junior College. He created what is known today as the Wine Studies Associate Degree. The program provides students of all ages with a certificate that has become widely recognized in the wine industry. His vision allowed him to create the first stand-alone wine studies program in the United States. Today, this program has become one of the largest and most prestigious wine studies programs in the country. Bob served as department chair of the Santa Rosa Junior College Agriculture and Natural Resources Department and took the lead with the construction of the Warren G. Dutton Agriculture Pavilion on the SRJC Shone Farm. This multi-purpose educational facility includes event facilities, lecture rooms, professional culinary kitchens, and a bonded winery. Bob retired in 2014, but he remains on the staff of the SRJC Wine Studies Program as an adjunct instructor. 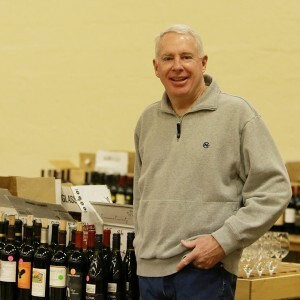 In addition to running the San Francisco Chronicle Wine Competition, the largest competition of American Wines in the World, Bob coordinates Sonoma County Harvest Fair Wine Competition in September. Bob and his wife, Cary, still reside in Cloverdale, CA. They have three children, Scott, Brooke, and Alexandra. Like their parents, all three children also are agriculture graduates from Cal Poly as were their parents and have careers in the agriculture industry. Scott is the Northwest District Manager at Dole Pacific, Brooke is the produce buyer for Apio in San Luis Obispo County, and Alexandra is working within the California wine industry. Over the past 40 years, Bob has been an avid and influential leader in the wine industry and the community. He has volunteered in numerous organizations: president of the California Community College Agriculture Teachers Association; board president of the Cloverdale Boys and Girls Club; and, numerous other community/industry based organizations.